In 1931 Kiernan went to Trinity College on a history scholarship. The greatest influence on Kiernan was Maurice Dobb. A lecturer in economics, he was a member of the Communist Party of Great Britain in 1922, and was open with his students about his communist beliefs. Kiernan, later reported: "We had no time then to assimilate Marxist theory more than very roughly; it was only beginning to take root in England, although it had one remarkable expounder at Cambridge in Maurice Dobb." (2) Dobb's house, "St Andrews" in Chesterton Lane, was a frequent meeting place for Cambridge communists that it was known locally as "The Red House". David Guest joined the Communist Party of Great Britain. He became the head of a cell that included Victor Kiernan, John Cornford, Guy Burgess, Donald Maclean and James Klugmann. This enabled dons such as Maurice Dobb and John Bernal to take a back-seat. "The readiness of David Haden-Guest to assume responsibility for the organization had another useful effect. It lifted an unwanted load from the shoulders of Dobb, Bernal and Pascal who, as Fellows of their respective colleges, considered it wiser to remain discreetly in the background. The University authorities adopted a vaguely tolerant view of undergraduate excesses in the political field; but dons who were known to be active Communist officials would have been courting needless trouble." (3) It was claimed that David Guest would "stride into hall at Trinity wearing a hammer and sickle pin in his lapel." (4) With the help of Dave Springhall, Young Communist League national organiser, the party soon had 25 members, Trinity College alone had 12 members and weekly meetings in the students’ rooms. Victor Kiernan graduated with a double starred first in 1934 and remained at Cambridge University. According to his biographer, Eric Hobsbawm: "His dissertation, published as British Diplomacy in China, 1880–1885 (1939), a diplomatic study with interesting Marxist interpolations, announced his consistent concern with the world outside Europe, not that late nineteenth-century China or any other period or subject satisfied his endless curiosity or exhausted his systematic keeping of records." Victor Kiernan joined forces with E. P. Thompson, Christopher Hill, Eric Hobsbawm, Maurice Dobb, A. L. Morton, John Saville, Raphael Samuel, George Rudé, Rodney Hilton, Dorothy Thompson and Edmund Dell to establish the Communist Party Historians' Group. 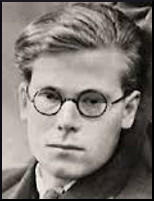 Saville later wrote: "The Historian's Group had a considerable long-term influence upon most of its members. It was an interesting moment in time, this coming together of such a lively assembly of young intellectuals, and their influence upon the analysis of certain periods and subjects of British history was to be far-reaching." (8) He also wrote for the journal Past and Present and New Left Review. Victor Kiernan left the Communist Party of Great Britain after the Hungarian Uprising. He remained a committed Marxist and published a series of books including The Lords of Human Kind: European Attitudes to the Outside World in the Imperial Age (1969), America: the New Imperialism (1978), The Duel in European History (1988) and Tobacco: a History (1991). Victor Kiernan died aged 95 on 17th February 2009. We had no time then to assimilate Marxist theory more than very roughly; it was only beginning to take root in England, although it had one remarkable expounder at Cambridge in Maurice Dobb... We felt, all the same, that it could lift us to a plane far above the Cambridge academic level. We were quite right, as the rapid advance of Marxist ideas and influence since then has demonstrated. Our main concerns, however, were practical ones, popularising socialism and the USSR, fraternising with hunger marchers, denouncing Fascism and the National Government, warning of the approach of war. We belonged to the era of the Third International, genuinely international at least in spirit, whey the Cause stood high above any national or parochial claims. Merchant capital, usurer capital, have been ubiquitous, but they have not by themselves brought about any decisive alteration of the world. It is industrial capital that has led to revolutionary change, and been the highroad to a scientific technology that has transformed agriculture as well as industry, society as well as economy. Industrial capitalism peeped out here and there before the nineteenth century, but on any considerable scale it seems to have been rejected like an alien graft, as something too unnatural to spread far. It has been a strange aberration on the human path, an abrupt mutation. Forces outside economic life were needed to establish it; only very complex, exceptional conditions could engender, or keep alive, the entrepreneurial spirit. There have always been much easier ways of making money than long-term industrial investment, the hard grind of running a factory. J.P. Morgan preferred to sit in a back parlour on Wall Street smoking cigars and playing solitaire, while money flowed towards him. The English, first to discover the industrial highroad, were soon deserting it for similar parlours in the City, or looking for byways, short cuts and colonial Eldorados. 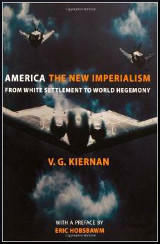 Victor Kiernan, who has died aged 95, was a man of unselfconscious charm and staggeringly wide range of learning.... Like several of his contemporaries among the Marxist historians, including Christopher Hill, Rodney Hilton and Edward Thompson, he came from a nonconformist background. In his case it was a lower-middle-class, actively congregationalist family in Ashton-on-Mersey, though in his time as a fellow of Trinity College, Cambridge, he used his Irish name as an excuse to justify a lack of zeal for the British monarchy. He came to Trinity College from Manchester grammar school in 1931 and remained there for the next seven years as an exceptionally brilliant undergraduate, research scholar and, from 1937, fellow. In 1934, the year of his graduation (double starred first in history), he joined the Communist party, in which he remained for the next 25 years. His first book, British Diplomacy in China 1880-1885 (1939) announced his consistent interest in the world outside Europe. Unlike his Trinity comrade John Cornford, about whom he wrote with remarkable perception, his public profile among Cambridge Communist party members of the 1930s was low. Only those with special interests were likely to meet him, a boyish face emerging in a dressing-gown from among mountain ranges of books on the attic floor of Trinity Great Court. This was because he soon took over the officially non-existent "colonial group" from the Canadian EH Norman, later a distinguished historian of Japan, diplomat and eventual victim of the McCarthyite witch-hunt in the US, and first of a succession of communist (and later ex-communist) historians who looked after the "colonials" - overwhelmingly from south Asia - until 1939. Victor Kiernan, professor emeritus of Modern History at Edinburgh University, was an erudite Marxist historian with wide-ranging interests that spanned virtually every continent. His passion for history and radical politics, classical languages and world literature was evenly divided. His interest in languages was developed at home in south Manchester. His father worked for the Manchester Ship Canal as a translator of Spanish and Portuguese and young Victor picked these up even before getting a scholarship to Manchester Grammar School, where he learnt Greek and Latin. His early love for Horace (his favourite poet) resulted in a later book. He went on to Trinity College, Cambridge where he studied History, imbibed the prevalent anti-fascist outlook and like many others joined the British Communist Party. Kiernan's knowledge of India was first-hand. He was there from 1938-46, establishing contacts and organising study-circles with local Communists and teaching at Aitchison (formerly Chiefs) College, an institution created to educate the Indian nobility along the lines suggested by the late Lord Macaulay. What the students (mostly wooden-headed wastrels) made of Kiernan has never been revealed, but one or two of the better ones did later embrace radical ideas. It would be nice to think that he was responsible: it is hard to imagine who else it could have been. 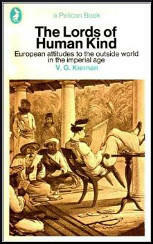 The experience taught him a great deal about imperialism and in a set of stunningly well-written books he wrote a great deal on the origins and development of the American Empire, the Spanish colonisation of South America and on other European empires. He was by now fluent in Persian and Urdu and had met Iqbal and the young Faiz, two of the greatest poets produced by Northern India. Kiernan translated both of them into English, which played no small part in helping to enlarge their audience at a time when imperial languages were totally dominant. His interpretation of Shakespeare is much underrated but were it put on course lists it would be a healthy antidote to the embalming. He had married the dancer and theatrical activist Shanta Gandhi in 1938 in Bombay, but they split up before Kiernan left India in 1946. Almost forty years later he married Heather Massey. When I met him soon afterwards he confessed that she had rejuvenated him intellectually. Kiernan's subsequent writings confirmed this view. Throughout his life he stubbornly adhered to Marxist ideas, but without a trace of rigidity or sullenness. He was not one to pander to the latest fashions and despised the post-modernist wave that swept the academy in the 80s and 90s, rejecting history in favour of trivia.